Henry Miles, 21, was found guilty upon two indictments of stealing fowls, at Minchinhampton, the property of John Viner and others, and was sentenced to seven months' hard labour for the first offence, and to eight months' hard labour for the second - the last month of each solitary. 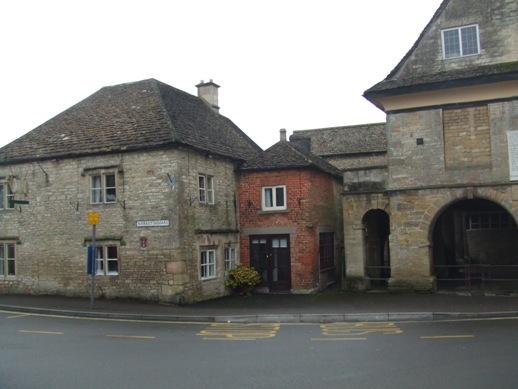 Hannah Clark, 18, for stealing, at Minchinhampton, a blanket, the property of D. Richards, was sentenced to six months' hard labour. TRANSPORTATION. -Seven Years: Cornelius Drew, for stealing fowls at Minchinhampton (second conviction). SUDDEN DEATH.-At Minchinhampton, on the 2nd instant, Mr. Viner of the Blue Boys Inn, while in an adjoining public-house called for a pint of beer, and whilst it was being warmed he dropped something on the ground, and when in the act of picking it up fell lifeless on the floor. THE DEAD POISONING THE LIVING - (...) ...I would direct your attention to the recent outbreak of fever at Minchinhampton. This is a town containing about 900 inhabitants. It is pleasantly and healthily situated on a declivity, and has been remarkably exempt from fever. Mr. D. Smith, a highly respectable surgeon, had practised in the town for fourteen years without meeting with a single case of typhus fever. 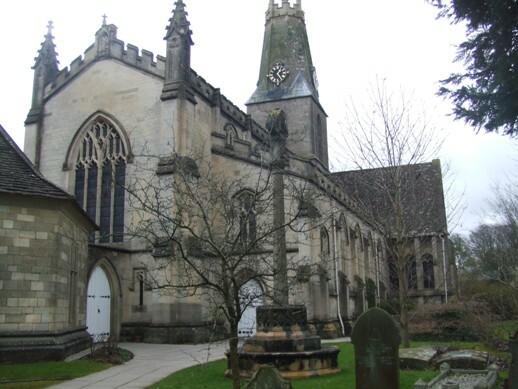 In the autumn of 1843 the church was rebuilt, and it was thought expedient to lower the surface of the grave yard within a foot or two of the remains of those buried. Many bodies were disturbed during this process, and re-interred. The earth so removed - of a very dark colour, and saturated, in fact, with the products of human putrefaction - was devoted to the purpose of agriculture. Upwards of nine hundred cart loads were thus employed, some as manure on the neighbouring fields, some in the rector's garden, and some in the patron's garden. The seeds of disease were thus widely sown, and the result any man of common sense might have predicted. The family of the rector, and the inhabitants of the street adjoining the churchyard, were the first attacked and the greatest sufferers. The rector lost his wife, his daughter, and his gardener; the patron's gardener also, who had been employed in dressing flower beds with human manure, was attacked. In short, wherever the earth had been taken, fever followed. The children who attended the Sunday School caught as they passed the up-turned surface of the grave yard, went home, and died. Mr. Smith states that since its commencement seventeen deaths have occurred from fever.